Join us on Thursday evening, November 22 at CoMotion on King for a chance to catch up with HHH members and enjoy two talks. RSVP on Meetup. Local television (Cable 14) conducted an interview with two of main organisers (David Kemper and Simon Woodside) before the event. Check out the interview. 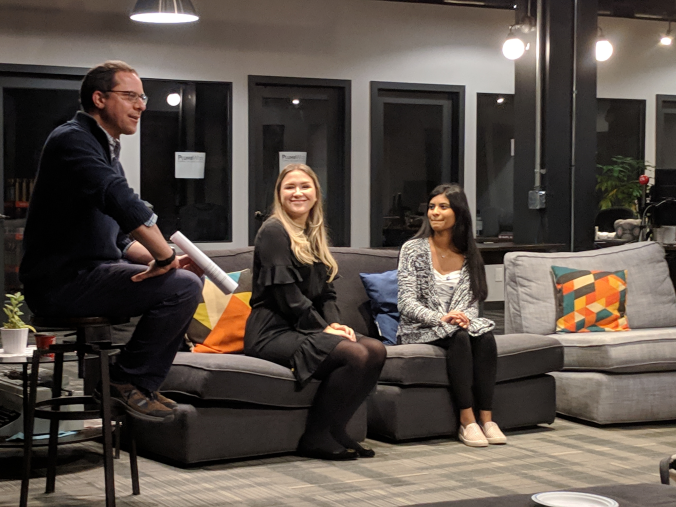 This month, DF/Net Software hosted Hacking Health Hamilton April Meetup at its office in Dundas. For over 25 years, DF/Net software has supported global clinical research, allowing the DF/Net team to make a profound impact on the way clinical trial data is collected, stored, and reviewed. DF/Net is developing and releasing new tools and smart features, while working toward a common goal of providing flexible, intuitive and innovative software for clients. This month, IBM Innovation Space, Hamilton is hosting us at their space on the 4th floor of Commerce Place right at the centre of the city. The centre will give area healthcare providers, researchers, innovators and entrepreneurs advanced technology tools and expertise to improve healthcare outcomes and put Hamilton on the map as a hub for healthcare innovation in Canada. 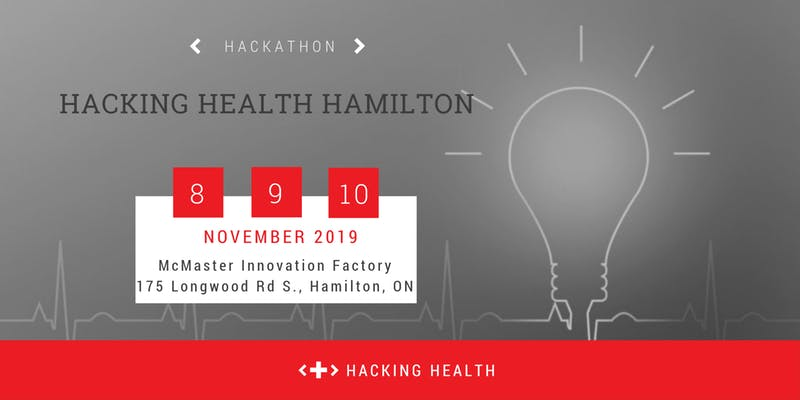 For a full account of the hackathon, check out our post NavaBed, WiseOwl, CALM, and MediShare win Hacking Health Hamilton 2018. 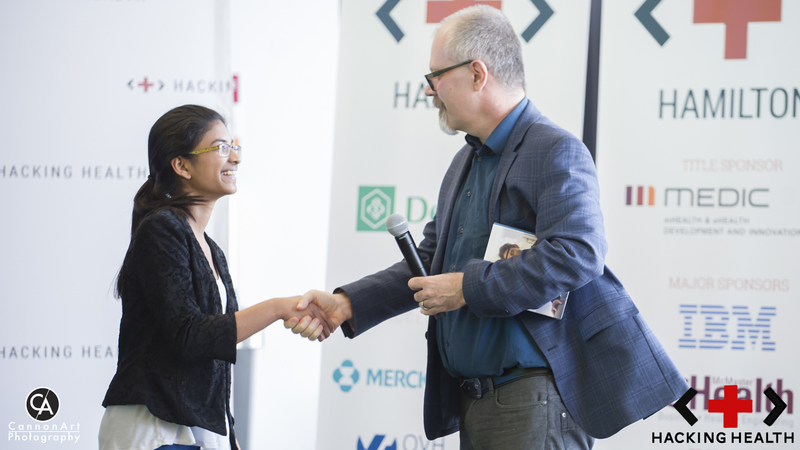 We asked Deborah Konig, a marketing specialist at Mohawk College, to interview Nadia Ashoori, one of the team members of a winning 2017 hackathon project. We had our most successful meetup to date on Jan 18th at Innovation Factory - McMaster Innovation Park! Thank you to everyone that came out to listen to Joanna Wilson and Lauren Stephen. Innovation Factory was very gracious with giving us their fabulous space. It gave us an opportunity to mix and mingle, and some great conversations sprung up. 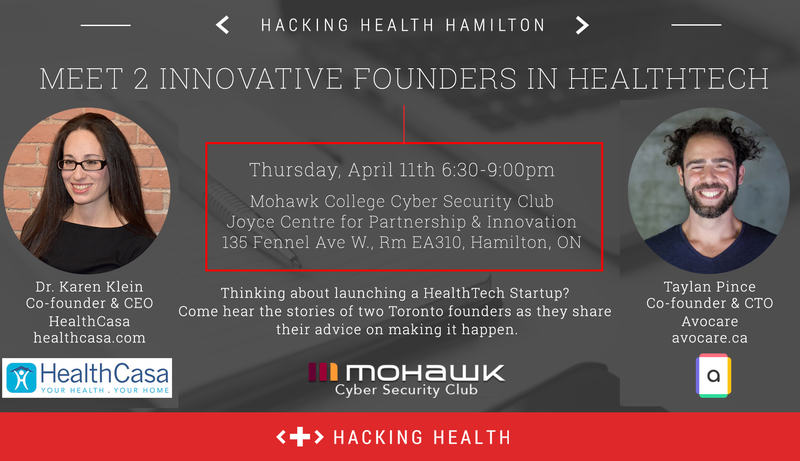 The first Hacking Health Hamilton Meetup of the season!